Let yourself be enchanted and delve into the mysterious Jewel Jungle! Match at least 3 jewels of the same color to explode them and remove them from the field. The more cascading matches you can achieve with a combination, the higher the points. Play in two modes: try to complete 150 challenging levels or go for a high score in time attack mode. Can you set a new record? 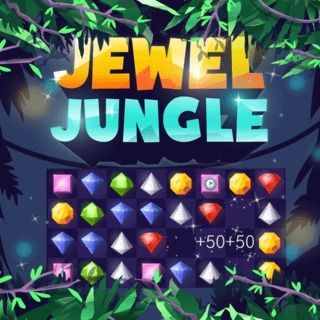 Jewel Jungle - Find Jewel Jungle in our vast HTML5 games catalogue. Only the best and newest HTML5 games for all audiences. Guaranteed success with Famobi.